The prevalence of allergy is increasing, as is our collective understanding about its impact on long-term health. In the case of cows’ milk allergy (CMA) the immune system overreacts to one or more proteins contained in cow’s milk¹. CMA is the most common food allergy in early childhood, affecting 2–5% of infants, and can be distressing for both the infants and parents². 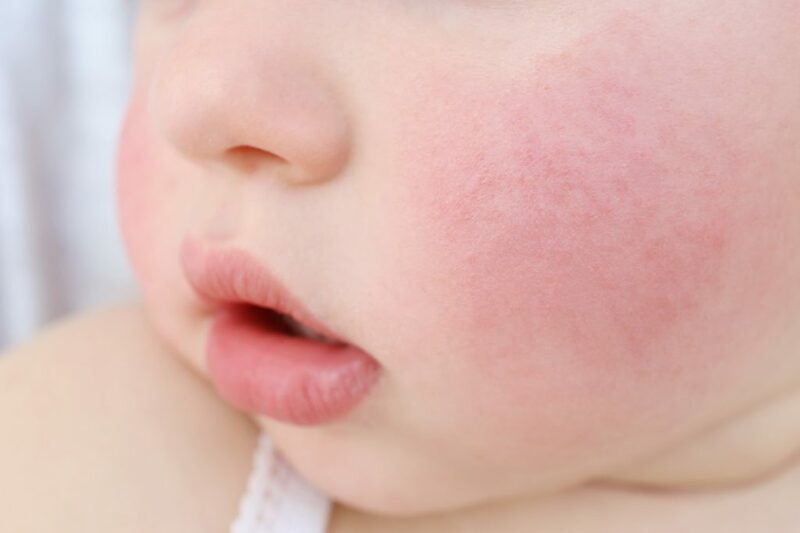 The symptoms are incredibly broad and can range from issues such as diarrhoea to issues such as wheezing and eczema; it can be distressing for both the infant and parents. To help support healthcare professionals with the management and diagnosis of CMA, and in partnership with Guidelines in Practice, Nutricia Early Life Nutrition has commissioned a film, with Dr Adam Fox, a Consultant Paediatric Allergist, and a webinar with Dr Mich Lajeunesse and Dr Rosan Meyer. Both resources cover a multitude of related topics about cow’s milk allergy and are designed to help healthcare professionals in their day-to-day practices. When should cow’s milk allergy be considered — what are the signs and symptoms that infants present with? To watch ‘Cow’s milk allergy in infancy — diagnosis and management in primary care with Dr Adam Fox’, please click here. This one-hour Guidelines in Practice webinar, presented by Dr Mich Lajeunesse and Dr Rosan Meyer, provides an overview of the iMAP guideline as a practical tool to assist GPs in the recognition, diagnosis, and management of CMA. It also discusses the symptoms and different presentations of CMA, and what the options are for managing these, including breastfeeding, exclusion diets, and the different formula milk options. After watching the webinar, 99% of viewers concluded that they were reasonably confident, confident, or very confident in diagnosing non-IgE-mediated CMA, while 100% of viewers were reasonably confident, confident, or very confident in managing non-IgE-mediated CMA. To watch the webinar please click here. *Since the production of these digital resources the iMAP guideline has been slightly updated. The information in the resources is still valid but please visit Allergy UK to view the very latest version. Nutricia Early Life Nutrition has commissioned a short Guidelines in Practice film, with Dr Adam Fox (Consultant Paediatric Allergist), and a webinar about the diagnosis and management of cow’s milk allergy. Fiocchi A et al. World Allergy Organisation (WAO) Diagnosis and Rationale for Action against Cow’s Milk Allergy (DRACMA) Guidelines. World Allergy Organ J. 2010;3(4): 57-161.